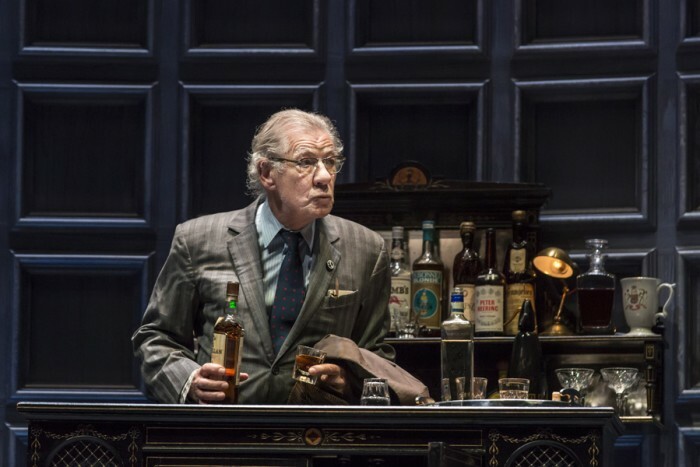 Ian McKellen will star as King Lear in the West End, as the Chichester Festival Theatre production of Shakespeare’s classic tragedy transfers to London this Summer. Returning to the site of his West End debut in 1964 – the Duke of York’s Theatre – the legendary stage and screen actor will lead the production of King Lear, which plays for 100 performances from 11 July to 3 November. Director Jonathan Munby’s production won critical acclaim when it played a sold-out season in Chichester’s intimate Minerva Theatre last year, and takes a contemporary slant on the tale of two ageing fathers – one a King, one his courtier – who reject their loving children. In a moving, brutal and epic tale, King Lear centres on a subsequent tornado of ruthless ambition and treachery, as subsequent tumultuous events throw family and state into a violent power struggle. The multi award-winning Ian McKellen has enjoyed an illustrious acting career. Having previously portrayed some of Shakespeare’s most iconic roles including Hamlet, Macbeth, Iago, Richard II and III, he now returns to the role of King Lear, having previously portrayed it for the Royal Shakespeare Company. Director Munby’s credits include his new production of Bryony Lavery’s Frozen in the West End, All The Angels, The Merchant Of Venice and Antony And Cleopatra for Shakespeare’s Globe, and Wendy & Peter Pan for the RSC. King Lear is designed by Paul Wills with lighting by Oliver Fenwick, music and sound by Ben Ringham and Max Ringham, movement by Lucy Cullingford and fight direction by Kate Waters. The production’s run at Duke of York’s Theatre follows that of David Hare’s heart-rending drama The Moderate Soprano.